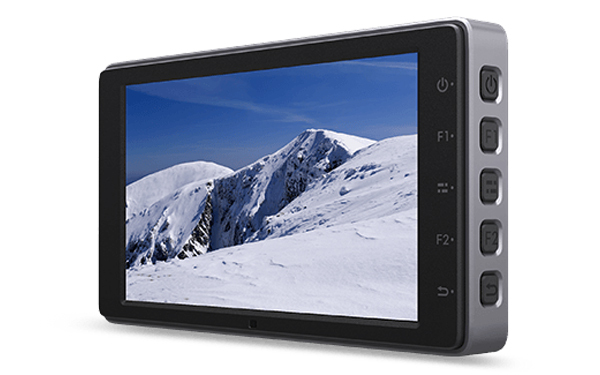 The CrystalSky range has been created for outdoor aerial imaging, and the monitor features an incredibly impressive ultra-bright or high-bright screen, made to be used in sunlight. 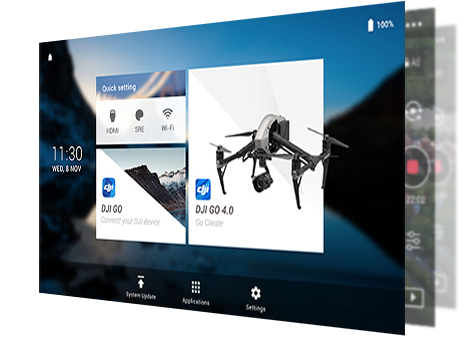 It is designed from the ground up to be used to be used seamlessly with the DJI GO app, thus giving camera operators complete control. 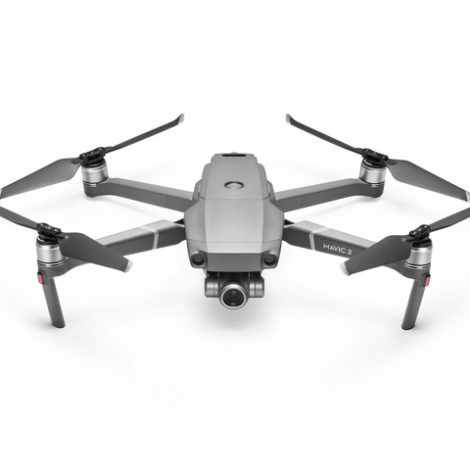 The CrystalSky has been designed to work specifically with a wide range of drones on the DJI platform. Our blog is going to take you through the range, and why exactly it could benefit you as part of your drone setup. The DJI CrystalSky range comes in 3 different sizes/specifications. There are the 5.5″ High Bright and the slightly bigger 7.85″ High Bright. These are designed specifically for outdoor use, and the high bright screen allows for clear visibility in direct sunlight, without the need for a monitor hood. They more recently released the 7.85″ Ultra Bright. This features the brand new Ultra Bright feature and is therefore even better performing in direct sunlight than the High Bright. It is also more than four times as bright as a normal smartphone or tablet device. The Ultra Bright also comes with a larger memory capacity of 128GB, compared to the High Bright’s capacity of 64 GB. CrystalSky’s monitor is more than 4 four times as bright as a standard mobile device, it also has an impressive maximum brightness of 2000 cd/m². The on-screen details are incredibly sharp, and therefore the colours and more vibrant. This gives the quality needed to fine-tune the image composition. The dedicated Sunlight Readability enhancement mode is specially designed for processing the image in real-time, this also ensures a more comfortable viewing under bright light. There’s a newly designed system that removes any unnecessary Android apps and services. 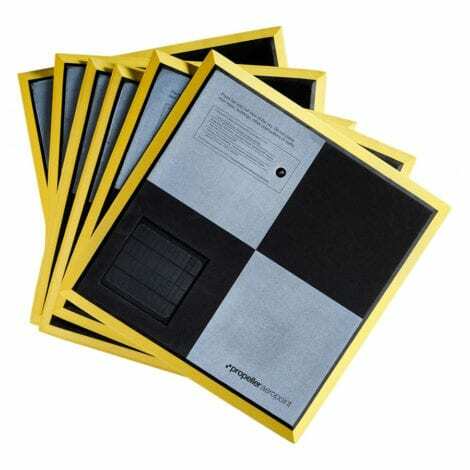 It is also incredibly resistant to viruses and junk software that may try and attack it. This all ensures that it’s able to offer optimum performance at all times. 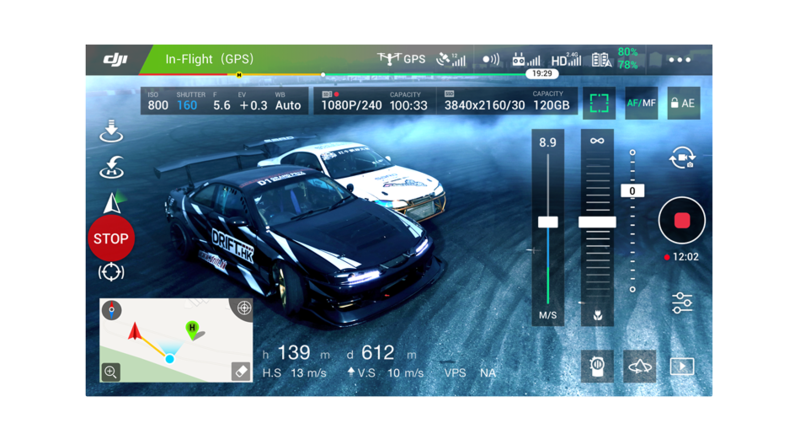 It is also embedded with the DJI GO app, that provides full access to all DJI GO features. In terms of using offline maps, maps can be kept available even if going out of wi-fi reach. 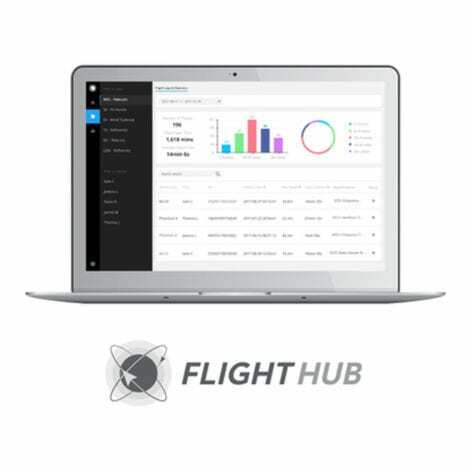 There’s many issues encountered when flying with a smartphone or tablet that the CrystalSky solves. 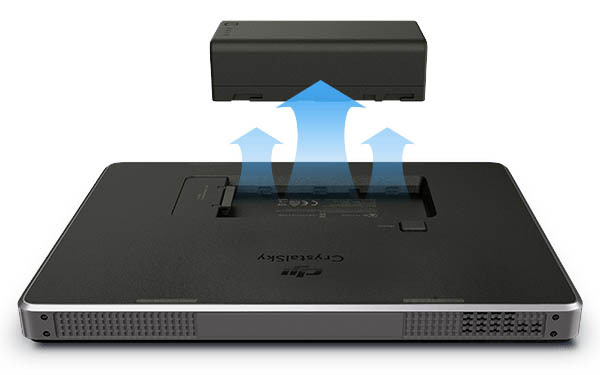 For a start, the CrystalSky comes with an optimised video display. Due to limitations in software access on smartphones and tablets, video decoding is less than ideal. Problems such as video jitters and long latency can make it hard to determine the quality of your footage. Whereas on the CrystalSky, the monitor is optimised for high-quality video and therefore provides far smoother real-time footage. Secondly, the CrystalSky’s brightness features are far better than that of a smartphone or tablet. If shooting on a sunny day with a smartphone, you are likely to encounter screen glare. With the CrystalSky, thanks to its ultrabright display, this is far less likely to be an issue. The onscreen details will remain incredibly sharp, and therefore far easier to view. Time to say goodbye to the clunky monitor hood! Those who operate their drones in extreme temperatures will certainly see the benefits of a CrystalSky monitor. The average smart device such as an iPad are normally only designed to only operate properly in standard temperature ranges. In contrast, the CrystalSky’s monitor’s external battery is specially designed for extreme temperatures. 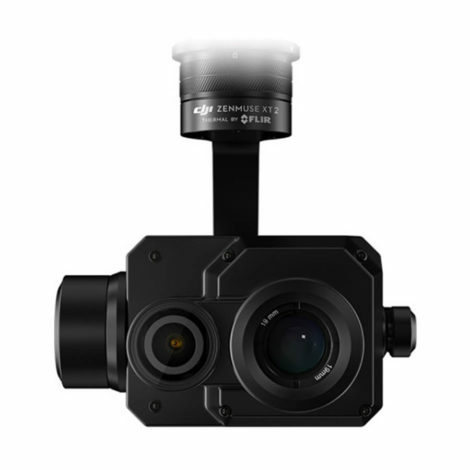 DJI quote that the CrystalSky can operate in temperatures as low as -4°F (20°C). It also benefits from an internal cooling system allowing it to function in temperatures as high as 104°F (40°C). The CrystalSky also very easily attaches to the Cendence remote controller without the need for an additional mounting bracket. The CrystalSky range has definitely lived up to the hype since its release last year. Operators will undoubtedly benefit from the ultra and high bright technology in bright sunlight, alongside the external battery that similarly helps maintain use in extreme conditions. 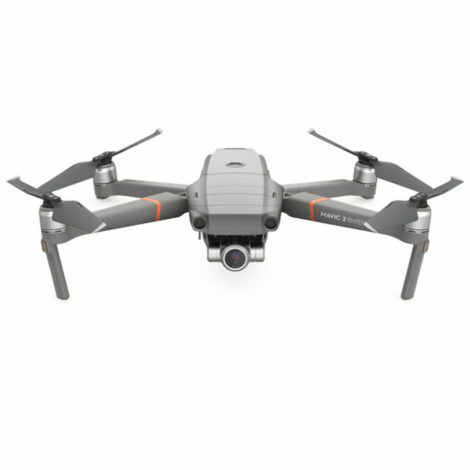 Overall we think they are a great addition to the DJI range, and something that all drone operators will benefit from as part of their commercial setup. To find out more about the CrystalSky range, feel free to contact us here.